All aspects from customer service, project management, building and maintaining strong partnerships, to completed results in the field, we hold ourselves to the highest quality standards as one of our core goals. Being equipped with the necessary resources, industry experience, technological knowledge, training capability and a proven Quality Assurance Management Program as a standard, we are able to meet and exceed the expectations of our partners by successfully completing quality turn-key services and projects from start to finish as an industry leader on a national level. 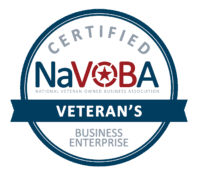 ISSi is also a certified Small Business Administration (SBA) and a Veteran Business Enterprise (VBE). This allows all of our partners to comply with and accomplish their minority spending goals.